The shown colors are our standard 40yr warrantied steel colors. We can match colors of other manufacturers too. 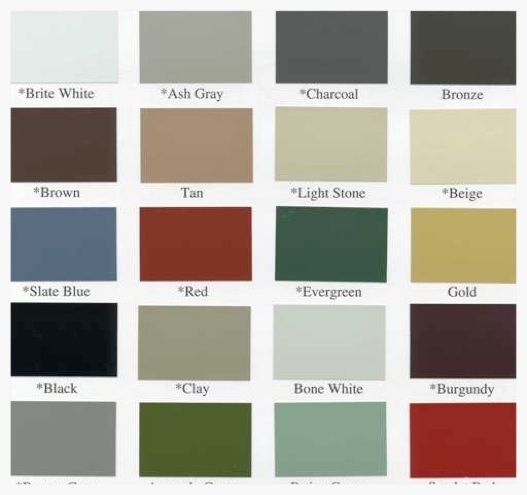 Because vinyl siding and shingled roof colors can vary drastically, we use our swatches to best match those products. We apologize for not having this available online.